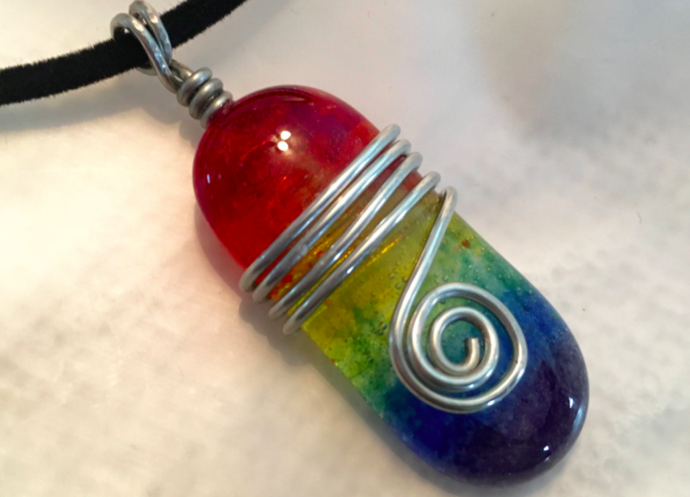 THIS WIRE WRAPPED SPIRAL RAINBOW PENDANT in shown with a Rainbow Cabochon, but can be ordered in a variety of colors. It is terrific for dressy or casual wear. The wrapped wire work gives this pendant energy and movement. Choose from Silvertoned or Goldtoned wire. This pendant is approx. 2 1/2" long and is sure to make a statement! The wirework and glass cabochon are all designed and handcrafted by me. Shown with an 18" black velvet stretchy cord with friction clasp. If you prefer a 16" chain or 18" silver plated snake chain (as pictured in additional photo, please make a request in buyers notes. 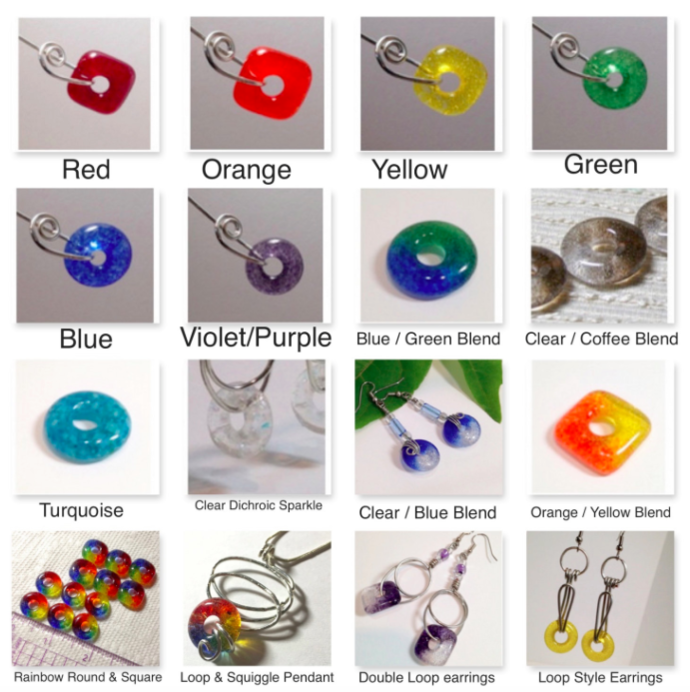 MY GLASS CABOCHONS are handcrafted by layering transparent clear with colored glass frit into a mold and then melting to 1425 degrees in a glass kiln.